Music Graphics | TFI Envision, Inc.
Rockport Publishers, Inc. of Rockport, MA has also included Tom Fowler, Inc.’s work in a recent book for their Design Library Series. This book, Music Graphics, highlights a variety of graphics created for the music and entertainment industry. 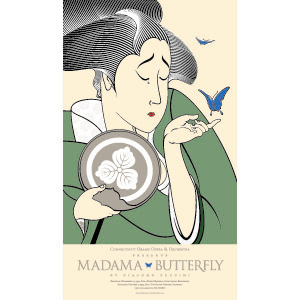 The original poster we created for the Madama Butterfly, performed by the Connecticut Grand Opera & Orchestra is featured on page 48 as a full color reproduction. The color palette for the poster was influenced by traditional Japanese wood block prints.